I spent most of yesterday taking the new iPad Mini for a spin and watching my daughter have a blast with it. 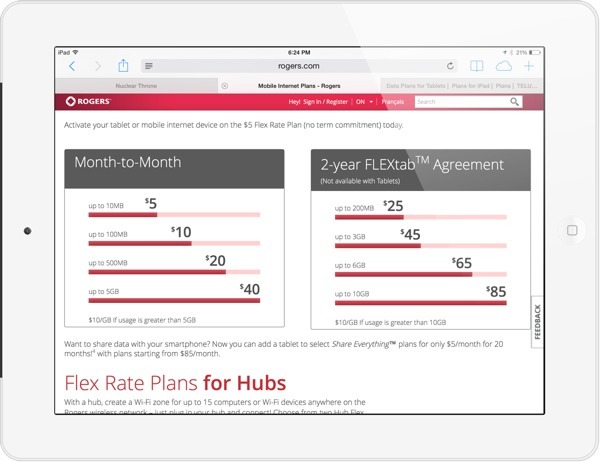 Now it’s time to focus on the new iPad Air. Where the Mini felt almost foreign because I haven’t used one for so long, the new Air still feels quite familiar. 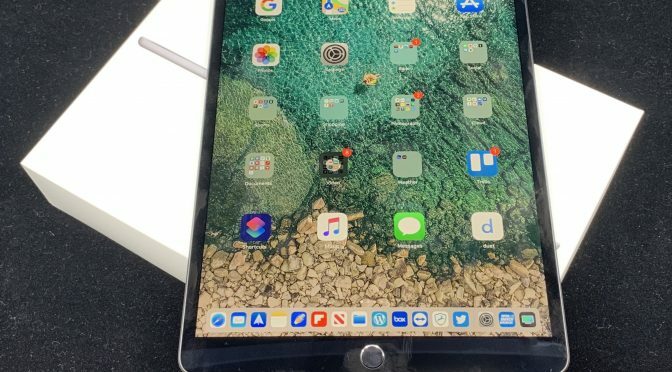 Even though I didn’t hang onto it, I tried the 10.5″ iPad Pro when it was released in 2017. I really liked it, but the 12.9″ still won out, in the end. 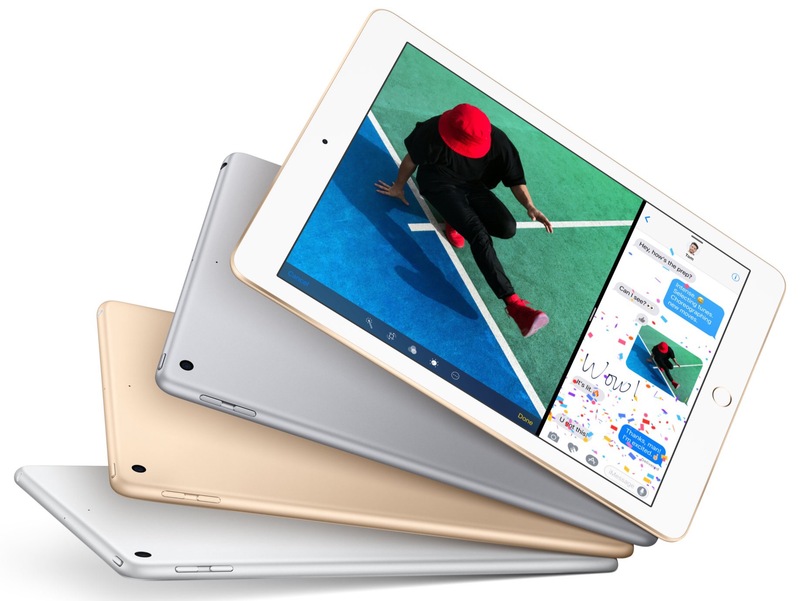 Ever since the first iPad Pro was released, Apple’s tablet lineup have been kind of a jumbled up mess. 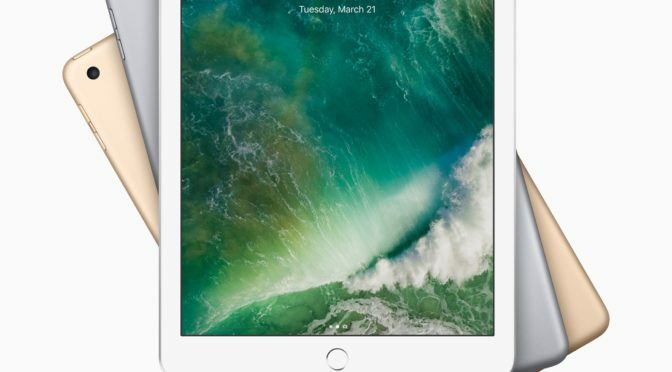 You had models that were too close together in price and specs, like the iPad Air 2 and original iPad Pro. 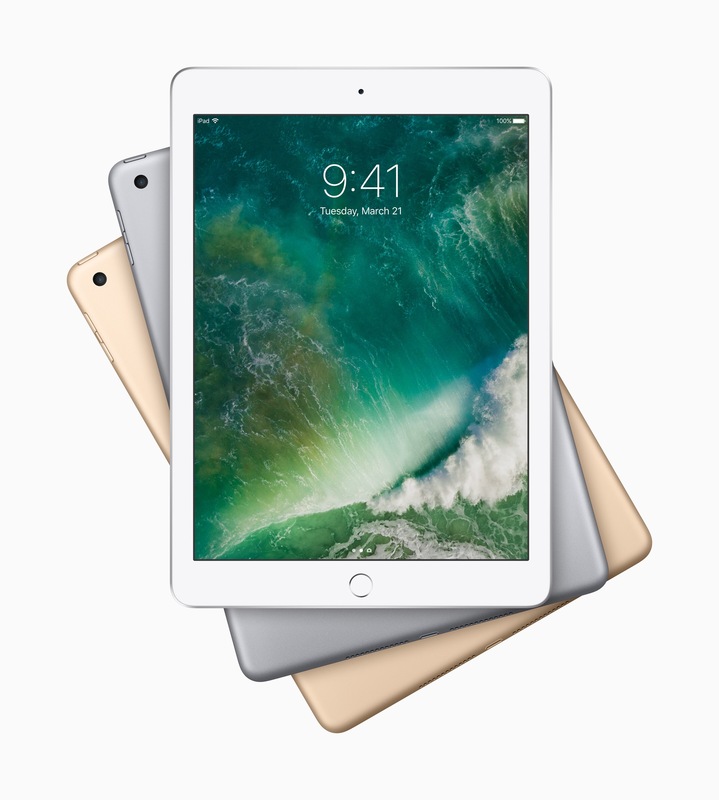 You had the iPad Air 2 on closeout while Apple was selling the new 9.7″ iPad Pro. The two tablets looked exactly the same and were only separated by Pencil support and a few other specs. There are few surprises in the tech world today, but we got a small one today. 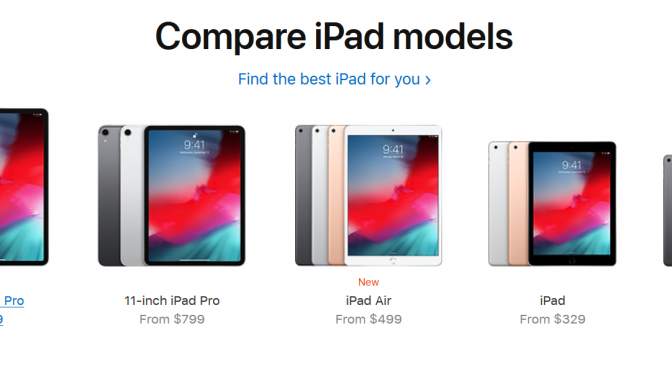 Apple’s online store went down in the early AM, and low and behold, we have new iPads ahead of Apple’s event one week from today! 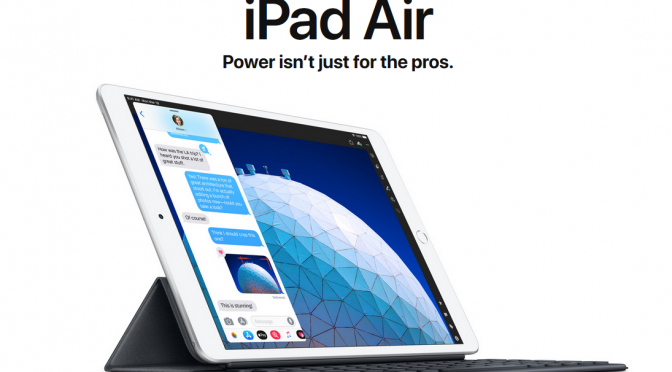 Apple threw us another change-up by going back to the name it seemingly left behind a few years ago, releasing a new iPad Air. 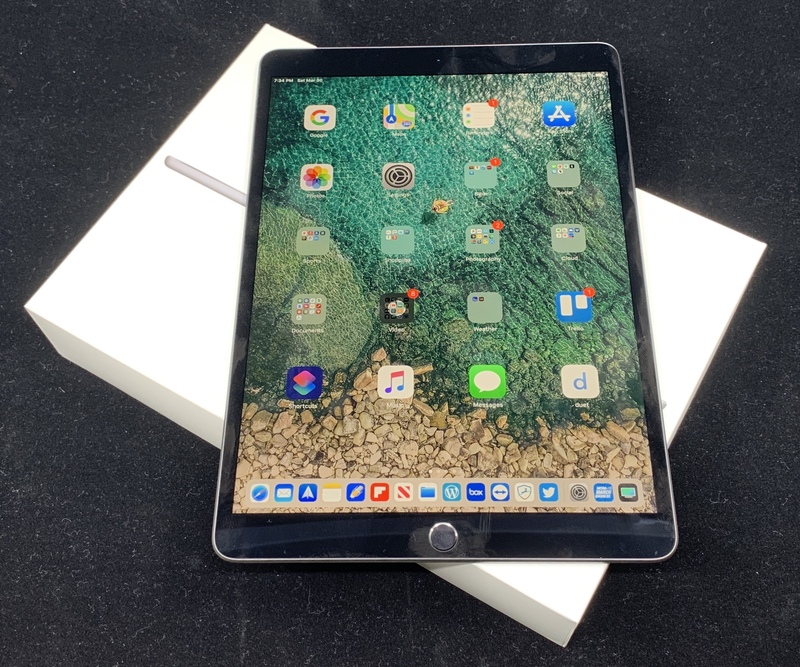 This is certainly ground that has been covered in MANY articles, both before and after the release of the new 10.5” and 12.9” iPad Pros, and for plenty of reason. Apple’s marketing has placed the iPad Pro squarely in the conversation as a primary computing device, and encouraged this kind of examination. 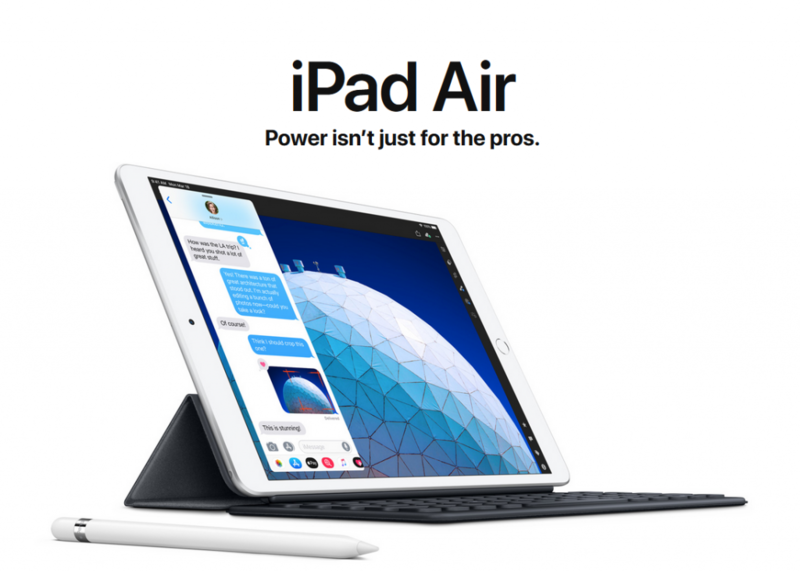 However, because the conversations tend to center around those of us in the Apple blogosphere and the tech community at large think, they usually focus on the iPad as a laptop replacement for US as “power users,” rather than more typical users. The iPad Air is Dead. Long Live the iPad. Well, my prediction early last month that the iPad Air line would be retired was half right. The name is now gone, but I thought at the time that Apple would shift to an all Pro iPad lineup this Spring. However, thanks in part to the comments of several users of non-Pro iPads, I came to see how short-sighted that opinion was, and how many potential users it would leave behind. Thankfully, Apple is a lot smarter than I am. As such, a lower-cost tablet still endures, just with a different name and a little different shape. However, this wasn’t all that went down yesterday. Apple made a few interesting, if low key moves, and changing up the Air 2 was just one of them. Here are a few of the highlights and interesting details from yesterday’s news. Does the thinness really matter? I’m quite happy with the profile of the iPad Air as-is, but Apple has this strange obsession with making everything as thin as possible. I’d like to see if the 18% thinner body actually makes a difference for one-handed usage, as I doubt it will affect two-handed usage much. It’s also curious that this new Air 2 is about 7–8% lighter than the previous Air, but Apple didn’t feel like that was worth pointing out. 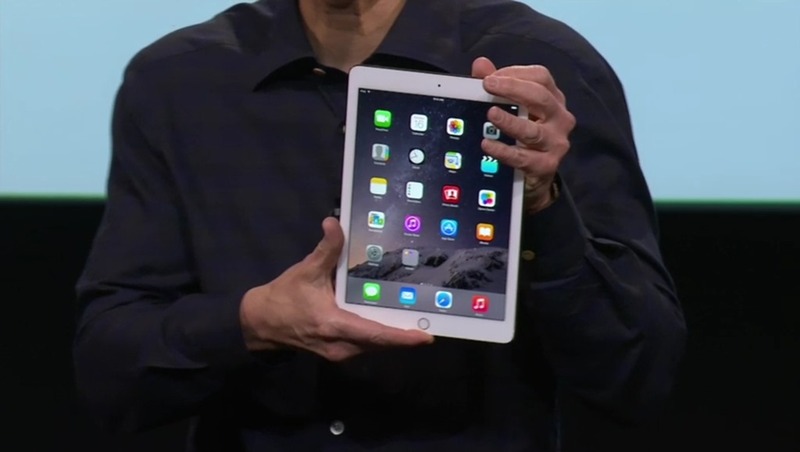 As expected, Apple unveiled the new iPad Air 2 just about an hour ago at their live special event. It is the thinnest iPad ever at just 6.1mm and said to be the world’s thinnest tablet. Pretty much inline with the latest rumors we’d heard about the new iPad Air, including the name. 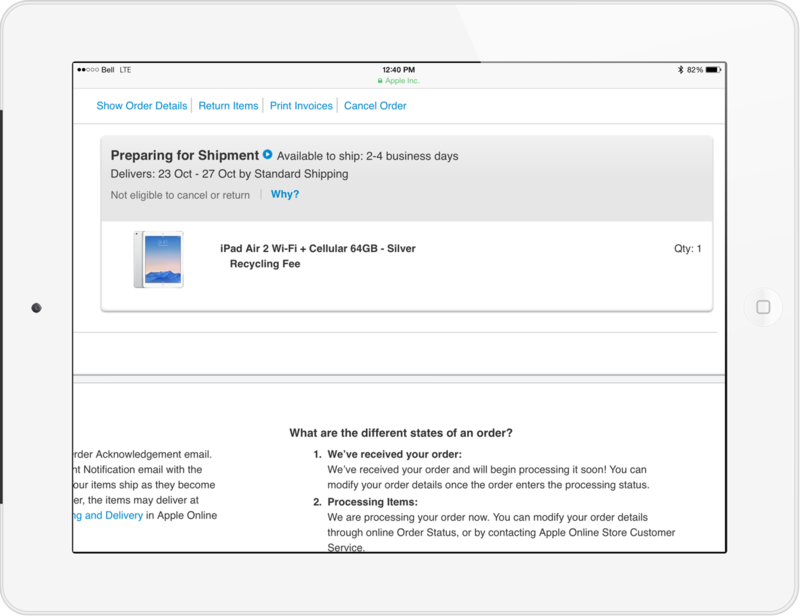 Pre-orders start tomorrow for the new iPad Air 2 and iPad mini 3, and shipping begins next week. With Apple’s iPad + Mac special event on October 16 fast approaching, last minute leaks and speculation are increasing pace as expected. Over the weekend, photos emerged that are said to show clear evidence of a Touch ID button for the new iPad Air 2 (or whatever name Apple gives the next gen of the iPad Air) and for an enhanced graphics chip, the A8X. MacRumors has details on the photos and they don’t seem to be classing them as fake right now. 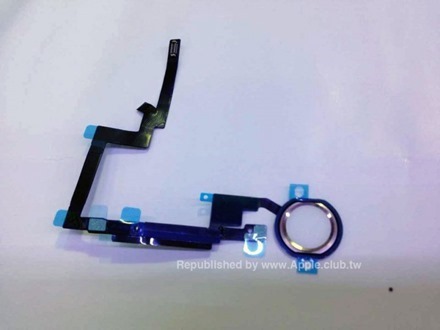 Apple.club.tw (Google Translate) has shared new images that appear to show a variety of components from the iPad Air 2, which include pictures of the logic board, home button flex cable, front panel, and volume control flex cable. The home button flex cable appears to contain a space for a Touch ID home button, complete with the stainless steel ring. Now all we need is a photo showing that the new iPad Air carries 8GB of RAM. One of the things I missed, back when I owned an iPad mini, was having enough space to draw comfortably. Even with the great zoom integration on the Paper app, the mini still felt a little too cramped to really get anything done; so I told myself a few months ago that one of the things I really wanted to try on an iPad Air was to draw a little more often. I’m not an artist, but as I’ve become more immersed in the world of product design over the past few years, I’ve really wanted to make a go of designing something myself. I started making a few leather gadget accessories last winter, and the ideas for these items were initially stored in a little pocket notebook. It’s a lovely little thing to keep around, but I found I didn’t use it every time inspiration struck, simply because it didn’t feel like the most natural tool to use. My iPhone and my iPad are always on-hand, but it’s things like paper notebooks that I tend to forget in my bag, or at my desk at home. So one thing I’m proud to share is that the iPad, paired with the unbelievably awesome Paper app, has become my sketchpad over the last few months. Infinite easy erasure and an unlimited number of pages have helped me bring my own little designs to life. I’ve been using the Jot Pro and Jot Script styli, and the whole process of drawing on a screen is feeling more and more natural with every passing day. It’s really an amazing feeling to store and create designs on a device I’m already committed to carrying with me everywhere. It feels like bonus functionality. I wouldn’t go so far as to say that the iPad has enabled me to do something I couldn’t do before. Pen and paper have always been around, and I’ve been curious about design for quite a while now. 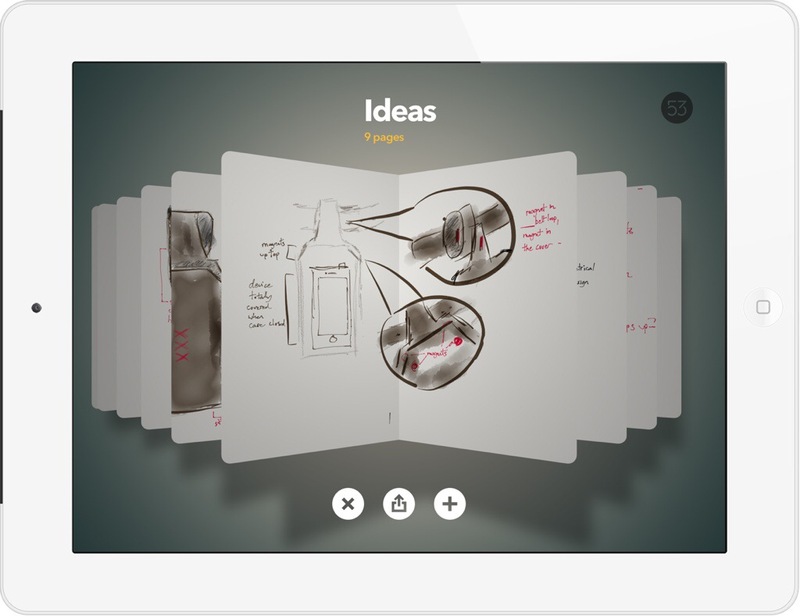 However, I think it’s fair to credit the iPad and Paper with making design — which was once a very daunting prospect — into something approachable, and incredibly fun, especially for a bright-eyed newbie like myself. I feel like I’m getting optimal use out of this tablet purchase, without forcing it to do things that just aren’t comfortable enough to do on a tablet. I’m surprised at how much fun I’ve been having while drawing on the iPad Air. I’ve had about two months with the an LTE iPad Air now, and I’m really glad I opted for the cellular option this time around. I’ve always wondered about the kind of difference a cellular option would make, but it wasn’t until this year that I decided to make the investment. As it turns out, I’m really glad that I did. The freedom that a cellular connection provides makes the iPad feel immediately accessible, in a way that tethering to my iPhone never really did. I have a 6GB data plan for my iPhone with Koodo, but I don’t tether much any more because Koodo’s network speeds are sub-par (2.5 Mbps down around Queen & Shaw) and iOS tethering is still too finnicky for reliable usage. 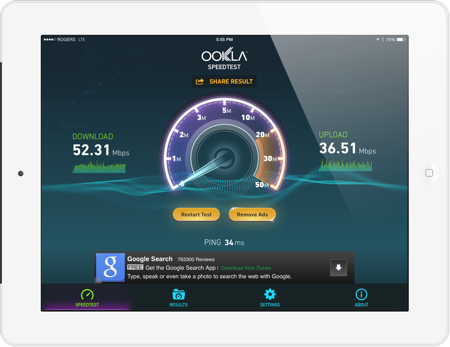 The Wi-Fi hotspot on my iPhone 5S often takes half a minute to show up on the iPad, and Bluetooth tethering is just too miserably slow to use, even for surfing.